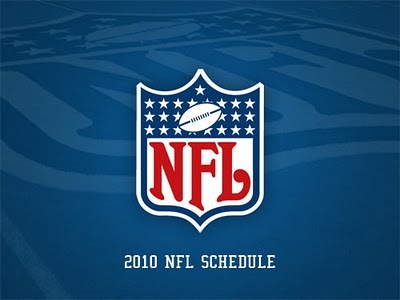 The NFL announced that the 2010 Regular Season Schedule will be released on Tuesday, April 20th via a 2-hour NFL Network special at 7 p.m. ET. NFL.com will also reveal team-by-team, week-by-week schedules through a new interactive Web application. The web application will include analysis by NFL.com reporters and breakdowns of the schedules. In addition, NFL.com will indicate which games will be on CBS, ESPN, FOX, NBC and NFL Network. Finally, there will be printer-friendly versions of the team-by-team and week-by-week schedules. It’s a statistical fact that the Cardinals have the weakest schedule of all NFL teams. That doesn’t mean, however, that the Cardinals won’t face tough opposition at certain times during the season. The Broncos, Cowboys, Saints, and of course the 49ers, will pose the greatest challenges at home. The Falcons, Panthers, Chargers, Vikings, and again the 49ers, should present staunch road battles for the Cardinals as well. Though nothing is certain, this year’s pushovers will likely be the Seahawks, Rams, Buccaneers, Raiders, and Chiefs. As always, the Cards will certainly benefit from a weak division. Out the “pushover” group, the Buccaneers seem like the team that could surprise the Cardinals with a tougher fight than Arizona would expect. Cardinals vs. 49ers: Though we’re looking towards the future, let’s take a look at the past between the Cardinals and 49ers. The two teams have met 37 times, with the 49ers leading the series 21-16. In addition, the 49ers swept the Cards in 2009. In last year’s season opener, the 49ers pulled out a close 20-16 victory in Arizona. Neither team put up much offense as the 49ers had 203 total net yards to the Cardinals’ 299 net yards. Frank Gore had just 30 yards rushing on 22 touches. The Hightower-Wells combination produced similar results, with just 44 combined rushing yards. In the end, Warner’s two interceptions proved to be the difference-maker. The Cardinals were easily handled in the week 14 Monday Night Football rematch at Candlestick Park. 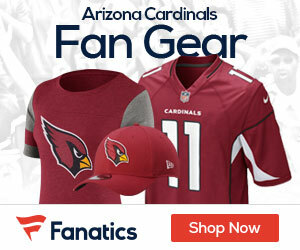 The Cards’ lost five of seven fumbles and Warner threw two interceptions, which handed the 49ers seven turnovers. To make matters worse, Frank Gore decimated the Cardinals’ defense for 167 rushing yards on 25 attempts with one touchdown. Also, Patrick Willis was all over the field as he recorded nine tackles, one sack, and one forced fumble. The only bright spot for the Cardinals was Beanie Wells’ 79 yards rushing on 15 carries. The 49ers hope to carry this moment forward into 2010. With Warner retiring and Boldin, Dansby, and Rolle departing, the 49ers must be thinking that the NFC West is ripe for regime change. Though the Cards’ schedule is the weakest of all 32 teams, the 49ers’ schedule isn’t much tougher. In terms of strength, San Francisco’s schedule ranks 28th weakest (2009 opponents’ combined record is 117-139, with a .457 win percentage). The 49ers success, or lack thereof, will likely hinge on which Alex Smith shows up. If the ineffective Alex Smith of years past is under center I don’t see the 49ers making a real push within the division, which isn’t rocket science.